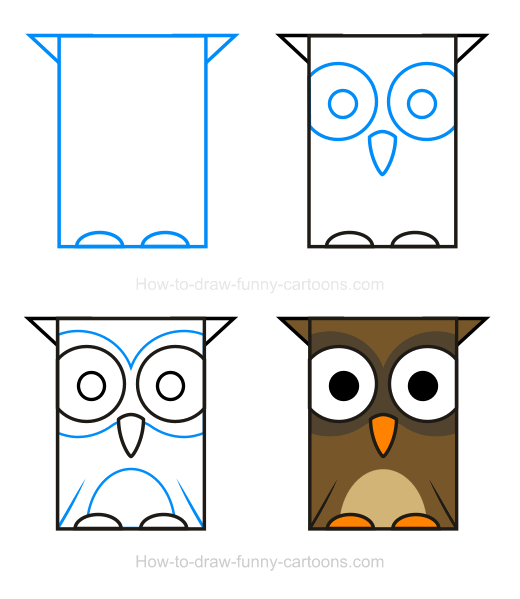 No need to wait for the sun to go down to create an owl clipart like the one found on this page! All you need to do is sit down, relax and work on this adorable character using this tutorial made from several basic elements like circles and triangles. 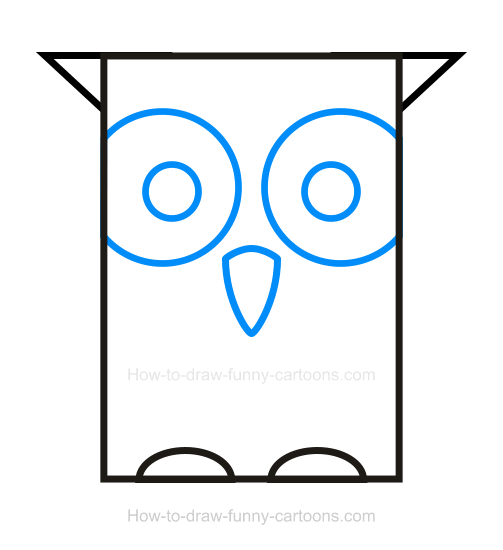 Owls are large birds that are cute, but also agile and dangerous predators. They can hunt small animals, birds and insects. Some of them are also able to hunt fish. These animals are easily recognizable. They have large eyes, a small beak, long wings and two small pointed ears. Great! You can begin with the body using a large rectangle made from a very thick outline to increase the level of cuteness of this character. Once you are done, two small triangles are added on each side of the head to form the ears. Finally, two small oval shapes are create to represent the feet of the animal. Next, draw two large circular shapes to illustrate the eyes of the character. When you are done, simply sketch two more circles inside the eyes to form the pupils. 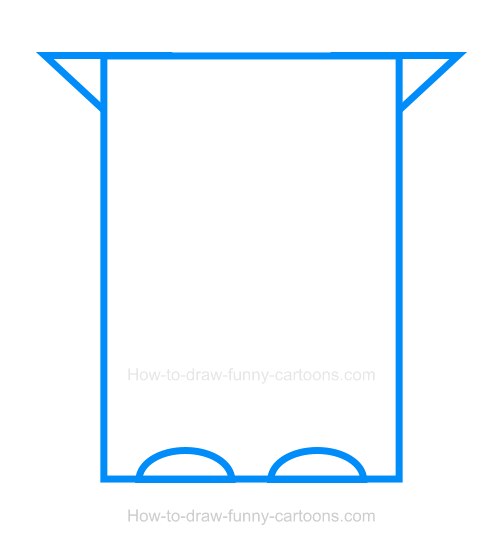 Finally, a small beak made from a triangle can be drawn below the eyes. Around the eyes, sketch two long oval shapes to form patches. On both sides of the body, a small line can be drawn to represent the wings. 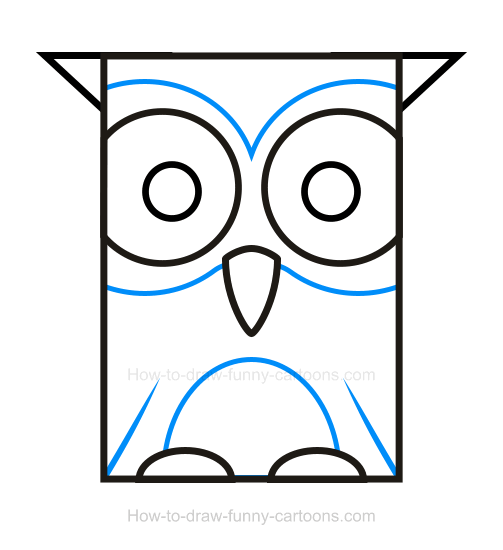 Finally, you can complete this step by drawing a long patch on the stomach of the cartoon owl. It's time to add colors! The body and the ears are filled with a bright brown color. The pupils are darker, just like the huge patch around the eyes. The beak and the feet and filled with a bright orange color. You can complete this step by adding a light brown color on the patch located on the stomach. Nice work! 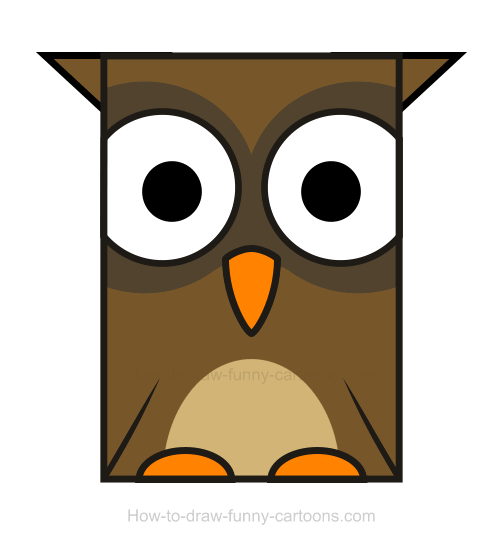 This adorable owl clipart is ready to fly!